Travel the World map and defeat and cath Dynamons! Train your monsters and level them up in battles! Swipe your finger or use mouse to guide an ever growing chain of objects and break the bricks. Try to break as many bricks as possible. Get additional balls and make the biggest snake ever! The official game of Luc Besson&apos; s Valerian and the City of a Thousand Planets! Join Valerian and his fellow agents for a mad dash through Alpha, the City of a Thousand Planets. They’re going in search of tons of precious coins but there’s lots of dangerous barriers, immense gaps and other hazards that they’ll need to avoid while they run, jump and slide through the intergalactic metropolis. Can you keep them from falling to their doom in this intense action game based on the sci-fi blockbuster from director Luc Besson? Can you remember the sequence? Test your memory, tap the cute farm animals in the right order and level up. Get into your awesome monster truck, crush obstacles and reach the finish line as fast as you can! In this cool side-scrolling truck challenge it&apos;s all about your driving skills. Princess Rapunzel is locked up high in the tower. Hop on the bricks, avoid monsters and collect power-ups to help the prince fight for his love! Rev up your engine and leave your competitors in the dust in this thrilling monster truck racing game! Earn as much cash as you can to upgrade your vehicle, customise it or buy new models to become even more powerful. Can you win all 10 cups across 100 races? Try the new game from the developer of Flappy Bird! You have to save your village from the ninjas. Throw your shurikens to wipe them out! Play this fun snake game in 3D! Top to go left, release to go right! Carefully control your snake&apos;s move, do not hit the terrain and pick up power-ups on the way. Fire the cannon with the correct speed and angle to wipe the enemy soldiers out of your way. Use your cannonballs wisely! A multi-level arcade flying game where you must extinguish fires, avoid trees, chase other planes and a whole bunch of other missions! Collect gems to increase your pilot ranking! Test your reflexes and cooking skills in the busy burger restaurant. Can you catch all the ingredients and make tasty hamburgers? Journey up a sheet of graph paper, perpetually jumping from one platform to the next, picking up jet packs, avoiding black holes, and blasting baddies with nose balls along the way. Red riding hood is bringing her granny medicines and fruit, but many obstacles await on her road through the forest! Help little jelly travel through the forest! Avoid spikes, collect coins, and buy new jellies! Bounce through 27 unique, fun levels. Enjoy this intuitive platform arcade game with more than 30 levels. Move the little mushroom to run, jump and advance through the levels. Pop as many monsters as you can in limited time! Watch out you have to either do single clicl or double click to clear them from the board! Speed up and claim your champion trophy in this exciting racing game. Win tournaments to purchase new cars that you cannot even imagine. Turbo on! Pot as many billiard balls as you can and clear the table before time runs out in this fast-paced snooker game! In Penguin Skip awaits you a frosty adventure. Prove your skills and help little Pengu to jump from floe to floe! Gather on your way as many fishes as possible and unlock warm hats and scarfs! Experience mind-blowing World War 2 battles in the brilliant new military strategy game. Choose the right tactic of warfare and earn your stripes as an ingenious Commander! Click to jump in and out the bubbles to next levels. Collect jewels and reach the goal. Can you survive in the maze of forest, clouds, heaven or the path of thorns? Run and jump over the hurdles in this exciting running game. Shoot the kitty out in the playground, tap and bounce objects to travel further. Ready to jump? Flappy Bird is back! He&apos;s ready for you to help him fly through the never ending line of pipes. Will this be the time you can finally beat your score? Train your basketball shooting skill in this addictive sports game. Touch and drag the basketball for a perfect shot. Help the cute fur-ball in this platform game to collect all the healthy treats.Beat all levels with 3 Stars and satisfy the Greedy Rabbit&apos;s hunger! Click on same-colored wizards standing near each others to attack the enemy! Select larger groups of wizards to make combo attacks! Little adventurer Popcorn finds himself escaping monsters and collecting dragon eggs in a quest of agility and speed. A puzzle game with cute art and 20 levels. Bounce the bunny to the tasty carrots. Welcome to Bunny World, a classic platformer game with endless fun! Watch out for all the crazy critters. Stomp or dodge those that get in your way! Try this extreme sport game if you are not afraid of heights. Jump off the plane now and start the free fall adventure. Show us your sky acrobat skills! From the maker of Flappy Bird comes this cute little kitty that needs to get rid of all the bugs in her garden! Smash the worms or they will escape! Help the sandwich escape monsters in this fun and highspeed platform game. Collect keys by jumping, teleporting and switching gravity! Halloween is here and the town is overflowing with Jack O&apos;Lanterns. Smash them all, but avoid the poisonous ones. Moley is walking in a forest full of obstacles. Build paths, solve puzzles, and collect crystals. Help the hero unlock the dungeons and save the princess. 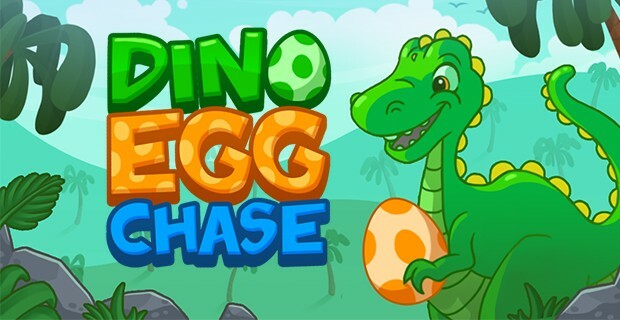 Run away from the giant boulder of doom, while collecting gold and gems to get a perfect score! Can you survive in the perils of the secret tombs? You&apos;ve found the best machine in the arcade: the crane game! Pick as many Teddies as you can in just one minute, but avoid the zombie dolls! Help Santa cross the rooftops safely. Tap to make him jump or ignite fireworks and make Christmas Eve fun for everyone! Make color combinations and keep the field as empty as possible! Rotate, turn and flick to get the best highscore! Help the chicken escape the crazed butcher! Avoid obstacles, collect power-ups and RUN! Get ready for a breathtaking flight with the fearless Miss Pilot! Fly, collect coins, shoot down enemy air-crafts and receive rewards! Space monsters are protecting their land from the shooting bubble stars. Bounce the bubbles away before they land! An addictive pixel racing game on a wild endless highway. Simple to play yet impossible to win, challenge your reflex right now! Fantasy Star Pinball 3D is an incredible arcade pinball game with a fantasy theme. The objective of the game is to score as many points as possible shooting the pinball and collecting balls. There are many secret scenarios, will you be able to discover all of them? Keep Ubi afloat by placing balloons on the screen directly beneath him, destroying enemies and dodging obstacles. A fast paced exciting arcade game that rewards timing and reflexes! JomJom likes tasty fruit! Dash from platform to platform in this endless jumping game. Race the clock and get as many fruits as you can. Flying with a copter hat! Another real arcade challenge after Flappy Bird. Play it online and totally free!